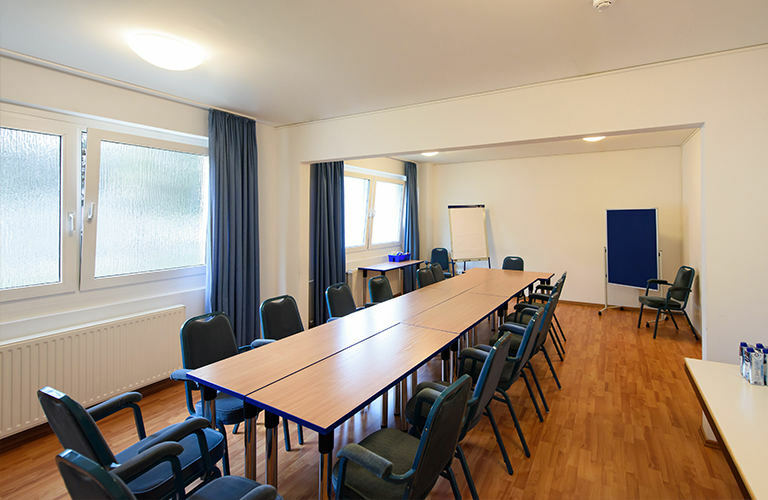 Right in the heart of northeastern Berlin, near the sports forum and many sports venues, is the a&o Berlin Kolumbus. The house has modern and bright rooms that will whet your appetite for the day. You can start perfectly with our all-you-can-eat breakfast buffet. In the evening you can end the day with a cool drink from our bar with a game of pool or table football. Guests have been paying an accommodation tax in the capital since January 2014. Get information here. The a&o Berlin Kolumbus is just 5 minutes from the Genslerstraße tram stop. Perfectly connected to public transport, the house is ideal as a starting point for extensive city exploration. Visit the nearby Hohenschönhausen memorial or get to Alexanderplatz in just 15 minutes. Parking is available, so that a journey by car works great. In over 200 comfortably furnished rooms including shower and toilet, it is easy to sleep. Wi-Fi is available in the house free of charge. The bar serves drinks and snacks 24 hours a day. 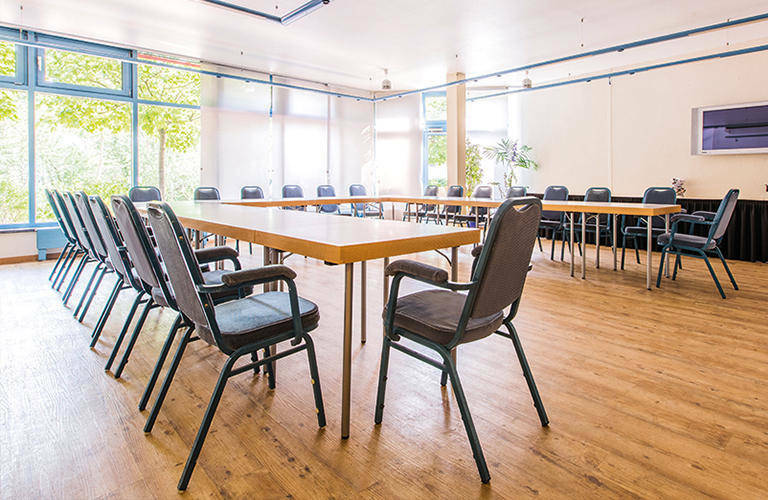 Ski tours or meetings can be organized especially well in one of our 3 modern conference rooms, while families enjoy the quiet location. I liked the lobby bar and having space in the dorm room. Cleanliness of the room and reasonable quietness (not much noise had been heard). Thanks for everything. But there was too much dust in the rooms. Please note that due to construction works Genßlerstraße is closed by the end of the year. You can reach the hostel via Werneuchener Straße. The stop Genslerstraße is located in front of the Allee Center. When you pass the center on the right and turn left into Genslerstraße, follow the course until you reach Liebenwalder Straße. There is our hostel. Take the S-Bahn (S3, 5 or 7) to Alexanderplatz. From there take the tram M6 in the direction of Hellersdorf / Riesaer Straße until you reach the Genslerstraße stop. When you pass the Allee Center on the right and turn left into Genslerstraße, follow the road until you reach Liebenwalder Straße. There is our hotel. Get off at the S-Bahn station Messe Nord / ICC (Witzleben) and take the Ringbahn S41 for 10 stops to Landsberger Allee. Then take the tram M5 direction Hohenschönhausen. Get off after 6 stops at Werneuchener Straße. Turn into this and walk straight to Genslerstraße. Turn left. The a&o is on the left side. Take the bus TXL to Beusselstraße, then take the Ringbahn S41 to the Landsberger Allee. There, take the tram M6 in the direction of Hellersdorf / Riesaer Straße, which will take you to Genslerstraße. Follow the course to Liebenwalder Straße, where our hotel is located. Take the train RB14 to Nauen and change at the station Ostkreuz. At Ostkreuz take the S-Bahn (city train) S7 to S Ahrensfelde and get off at S+U Lichtenberg There you have to walk a few meters to the bus Station S+U Lichtenberg Bhf / Siegfriedstr. and take the bus 256 to Wartenberg. Get off at the station Liebenwalder Str. From there it is about 150 meters to our a&o.